Are we leaving nothing for E3, guys? Amazon dampened the announcement by leaking it early, but Microsoft has just officially announced a 1TB Xbox One console that starts shipping today. As well as having all that extra on-board storage, gamers will be able to extend it further with an external USB 3.0 drive. The new Xbox One costs £350/$400 (AUS price TBC), while Microsoft is setting the price of the 500GB model to £300/$350 permanently. 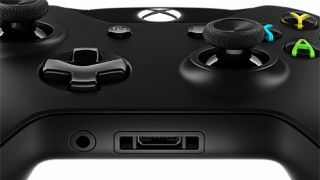 On top of that, Microsoft is also rolling out a new controller that includes a 3.5mm headset jack and bumpers that have been "fine-tuned". The new pad will be available to buy on its own from "late summer", but you can pick up the 1TB console right now.